The Latimer House Museum and Gardens has a key role in Wilmington's historical culture. Built in the early 1850s and still preserved as one of the region's many opulent homes which have been converted to museums, this "residence" has also been the official home to the local Historical Society since 1963. 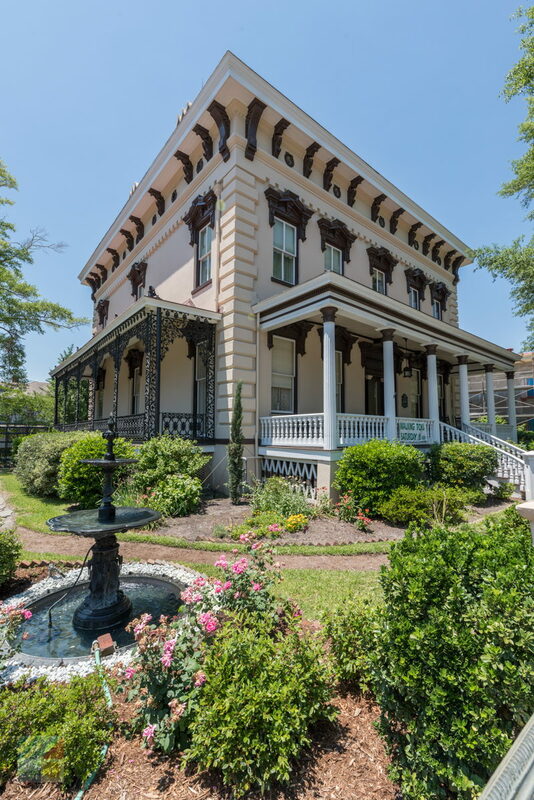 Ornate and inviting, with rich touches throughout, the Latimer House Museum and Gardens is a must-stop for history buffs who are taking a strolling tour through Wilmington's most famous and best-preserved southern palaces. The home was originally built in 1852 by local merchant Zebulon Latimer. Built in the era's very popular Italianate style, the four story house itself was designed to be perfectly symmetrical, with a central hallway and an identical layout on every floor. This symmetry can be noticed at first glance, as the ornate square building on Downtown's Third Street with an equal number of windows and pillars on all sides is incredibly unique on the Wilmington scene. 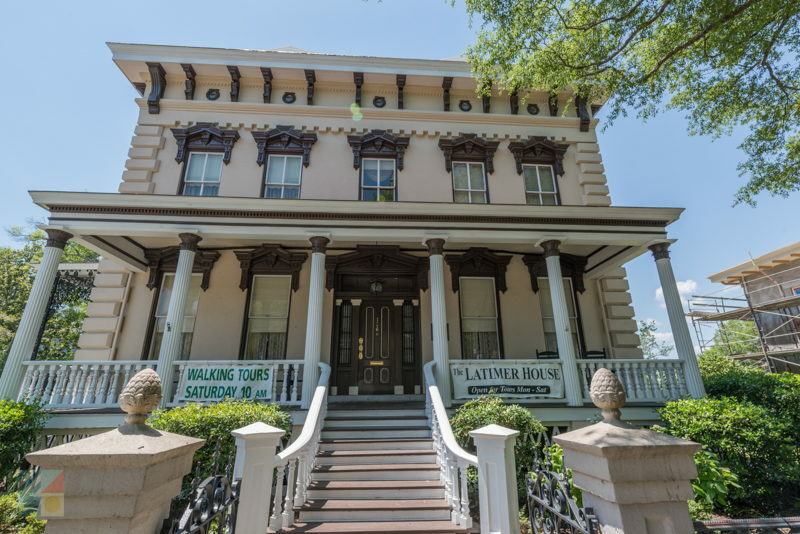 It was occupied by three generations of Latimers until 1963, when it passed over into the hands of the Lower Cape Fear Historical Society and became a popular Wilmington museum. The home features a total of 14 rooms and more than 600 historical relics of its original era, all placed strategically throughout the household. The solid marble fireplaces and ornate chandeliers are all originals, (with a few modern lighting fixtures tossed in to replace the antiquated gas lighting), although the rich carpets, velvety curtains and patterned wallpapers have been updated here and there topreserve the original pristine look of the home. With a formal parlor, dining area, and opulent Victorian touches throughout, the Latimer House Museum is arguably one of the more richly appointed historic homes of Wilmington and is a spellbinding introduction for visitors on how the early wealthy merchants of the Cape Fear region lived in decadent style. Outside, the formal gardens are protected from the rest of the world by original stucco and lace-brick walls which protect and border the property. Unlike other local residences, the gardens at the Latimer House Museum have stayed true to their roots, so to speak, with solely Victorian era plants scattered throughout the grounds. An iron water fountain stands as the centerpiece of the gardens, with a brick courtyard and several benches available for visitors to relax and enjoy the serenity. Servants quarters are also located on the outside grounds, which can be explored by passing guests. Trained docents are available to provide detailed guided tours throughout the homes and gardens, pointing out the specific features that makes this property wholly unique. Tickets are generally around $10 for adults and $5 for children, and tours are given Monday through Friday at 11:00 a.m. and 1:00 p.m., and on Saturdays at 11:00 p.m. and 3:00 p.m. With advanced reservations, visitors can also enjoy a fully interactive tour which encompasses all of historic Downtown Wilmington, and starts and ends on the Latimer House's front porch. These tours are generally 90 minutes long, and can be arranged in advance by calling (910)762-0492. In addition to regular tours, the Latimer House Museum and Gardens are also home to a number of special seasonal events, including musical programs, art exhibitions, fundraising socials, and candlelight tours that delve deep into Wilmington's rich history. The home is also available to visitors who want to host a special gathering, whether it's a uniquely beautiful wedding in the gardens, or a world-class tea in the formal tea room. Parties who wish to book the Latimer House Museum and Gardens for a special event are advised to contact the historical offices at (910) 762-0492 well ahead of time. Because of its splendor and location, the Latimer House often books up quickly on popular wedding and event weekends in the spring, summer and fall months. 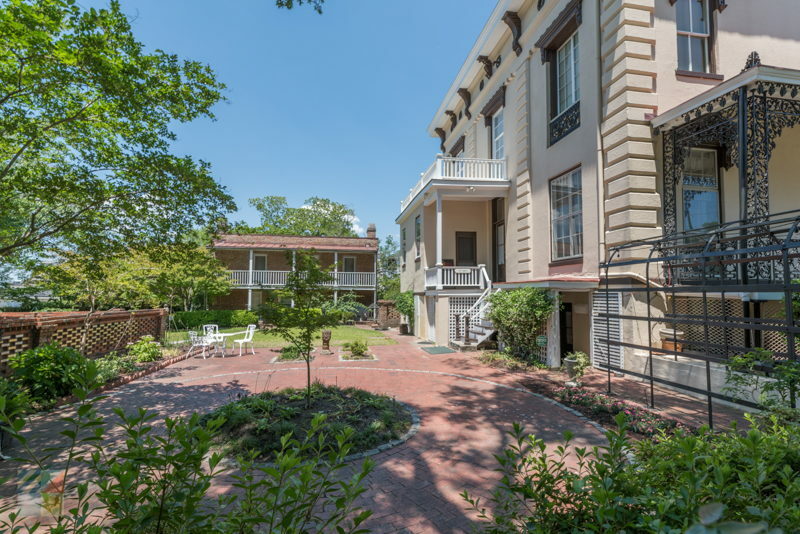 The Latimer House Museum and Gardens is one of Wilmington's many architectural and historical treasures, gliding its guests away to a bygone era of southern culture and opulence. A tremendously popular attraction and the home of the region's foremost Historical Society, the Latimer House Museum and Gardens is a worthy afternoon excursion for any visitor who wants to take a step back in time, and be utterly charmed in the process. 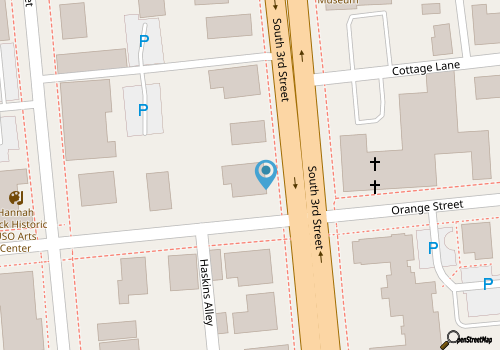 Call 910-762-0492 for current hours.